For Justin Walley, football has long been an all-consuming passion in many shapes and guises over the years: from long drives as a student to Southampton just to see Matt Le Tissier play in the 1990s, a drinking session with George Best on the King’s Road one random day, or promoting HIV education through football in Africa. 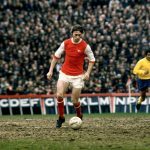 But the real sign of Walley’s all-or-nothing love for the beautiful game came when he was giving so much of himself to the sport that he had to step away from it for health reasons. “It got to the point that the club was totally consuming my life: phone calls at 7am on a Saturday morning, doing the accounts at midnight on a Sunday. I actually ended up in hospital, which I believe was stress related. It was time for a break,” Walley tells These Football Times. That was a few years back now during a characteristically off-piste adventure running Riga United in Latvia. He had taken the reins at the club five years prior to his health issue. 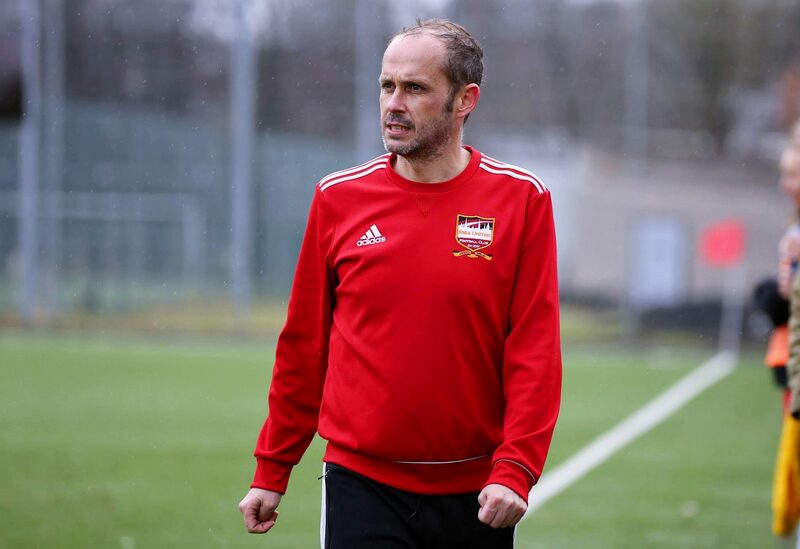 In that time, he guided the team from enjoying regular kickabouts to one now playing in the Latvian League 2 Riga Division, co-founded the club’s youth academy, coached their women’s team to a bronze medal in the Latvian Premier League, and ultimately built a platform which has already seen six Riga United players go on to represent the national side. It was a full-on undertaking, and although it’s a project that he continues to take part in, he took a step back from it for a time to go travelling for a few months, drinking in new experiences and taking time to reflect and do some good, old-fashioned soul-searching. A higher coaching qualification through the Latvian Football Federation was the ideal goal on his return but a few too many obstacles fell in his path, so he couldn’t make it happen. However, Walley was soon offered the chance to coach another Latvian team called FK Aliance in the country’s second tier; it complemented his experience volunteering with the Craig Bellamy Foundation in Sierra Leone in 2013 and gave him a new lease of life. “After a lot of letters, emails and Skype calls, I ended up getting verbally promised the national team head coach role of a Pacific island nation. It was a dream come true and I was ready to get on the plane to the Pacific. Then, at the last moment, the bloke who set up the deal – and was their ‘ambassador’ at the time – double-crossed me and took the job back for himself as I believe the team was suddenly about to receive a substantial amount of outside financial support. You’ve probably never heard of Matabeleland – it’s a region in Zimbabwe with a very troubled past. Robert Mugabe is alleged to have played a central role in the horrific massacre of thousands at the hands of a brutal militia there, and its people have long lived with the haunting memory of its harrowing traumas. Having earned their berth at the World Football Cup, coming through an arduous regional qualification, Matabeleland will be pitted in a group against teams you’ve also probably never heard of – Padania, who are the European champions, Kiribati and Székely Land. The World Football Cup will sit in the shadow of FIFA’s more commercially-driven international competition, and it will pass under many people’s radars, but Walley sees the chance to play Padania and the rest as a massive honour for him and his squad, citing the fact that one of Padania’s sometime squad members, Maurizio Ganz, used to play for Inter and AC Milan during the 1990s. Alongside a dozen other teams outside their group, Matabeleland will fight it out for the chance to be crowned champions, although it is the reigning winners Abkhazia who are the recognised favourites by many, and Walley is under no illusion that it will be a tough slog for his players. As for the World Football Cup itself, Walley himself admits there are not many certainties to point to considering the federation members don’t often get the opportunity to play against each other. So, it’s not always easy to determine how events will pan out – and that has given him hope that his team can cause a genuine upset. 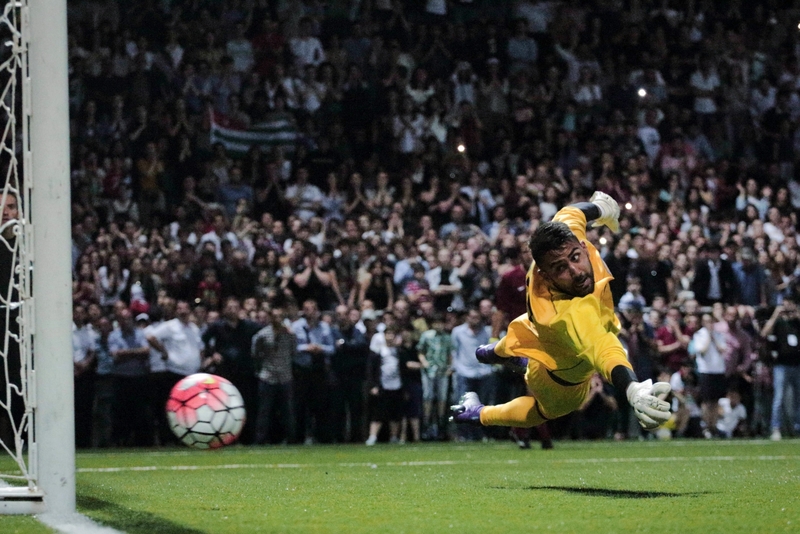 “CONIFA is unlike FIFA in the respect that many of us rarely if ever get to play each other. There are many more unknowns. It is difficult for teams to prepare for some of their opponents. In pure football terms, I think we didn’t end up in the most difficult group or indeed the easiest one. But, do I think we can get out of the group? Of course I do. “This tournament is everything that the FIFA World Cup isn’t. Football for everyone is CONIFA’s mantra. It is tremendous that CONIFA gives teams like Matabeleland, Tibet and Kiribati the opportunity to compete. I don’t think it matters what your politics are; ultimately everyone should have the opportunity to play football,” Walley says. CONIFA prides itself on its unifying nature. By giving outsiders like Matabeleland the opportunity to bring a squad to the alternative World Cup means so much more than many can imagine – and the team still faces one final task to raise money to fund their summer adventure. The World Football Cup is an antidote to the commercially-driven one spun by FIFA, and while Gianni Infantino’s organisation ushers the likes of Matabeleland away, CONIFA offers them a warm embrace. What’s more, it gives the football lovers back in Matabeleland a team to get behind. Away from any politically-charged symbolism, though, it offers the players the platform to do what they love doing more than anything else. As Walley explains to me, Matabeleland’s forthcoming appearance in London is not so much a chance at redemption and closure for the people, but an opportunity for escapism – both literally and figuratively. 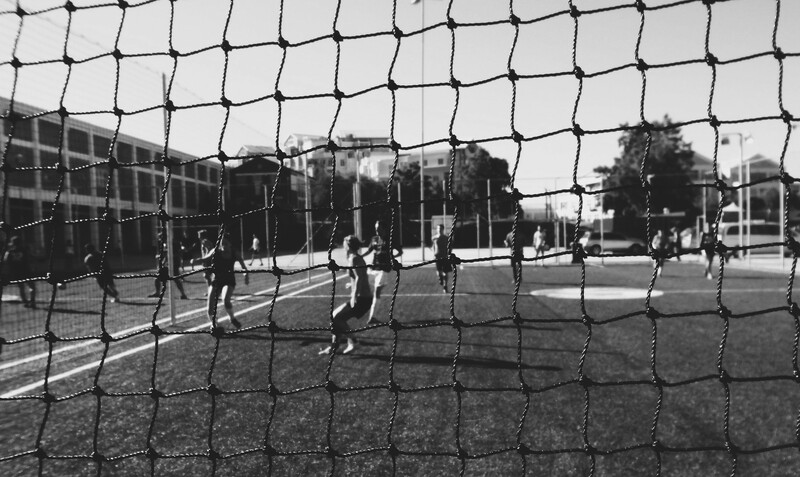 It offers them the chance to put that troubled past to one side, get down to basics, and remember what it is about the beautiful game that makes it such a refreshing countermeasure to life’s stresses and strains. “The game of football is more democratic than politics. You can be six-foot-four or five-foot-four and make it in football. You can be as big as Adebayo Akinfenwa or as light framed as Jesse Lingard. I am not sure how important it is to the people of Matabeleland that they have a team representing them. I get the feeling at this point that they don’t totally believe it is happening. Tactics are an increasingly analysed facet of the beautiful game and managers and coaches maintain a stereotypical image in a lot of people’s minds – staunch believers in a single-minded game-plan who dictate, philosophise and command to win at all costs. Whether dressed in designer suits or workaday training gear, the ones at the top of the professional game are typically thought of as untouchable impresarios whose unshakable belief in themselves is almost as strong as the mysticism that surrounds their personality. Outside of that top tier, though, are the coaches who have to make do without lots of funds, backers, top-notch facilities or even supporters. It’s a true test of how genuine someone’s love for football is when they’re willing to do it in the absence of monetary reward – Walley is one of those people. It’s the sort of austerity that breeds practicality – and with the odds stacked against his side, Walley is all too aware that his Matabeleland players will need to be dynamic with their game-plan in London this summer. “The chances of us winning the World Football Cup are probably Leicester City winning the Premier League times ten. But that is still possible. Unlikely but possible. Will we win London 2018? Probably not. Can we win it? Yes, we can – if absolutely everything falls into place for us. Are we going into it to win it outright? Hell, yes. In Africa, football is a terrific source of hope and inspiration – despite the often sub-par facilities that accompany it. As a continent, it has a strong history of the beautiful game; the teams, across the board, have improved drastically over the years from a technical and tactical standpoint, but it is the rawness and unrefined nature of it which makes it truly stand out. In Matabeleland and across Zimbabwe, as Walley tells me, kids stricken by poverty make do by stuffing dozens of plastic bags inside each other to create make-shift footballs, and the youngsters play out on the street at all hours of the day because they love it so much. No doubt, when Walley and his squad eventually make it to London for the big football bonanza at the end of May, they will harness that same innocence, that purity – and they will leave an indelible mark in people’s memories about what football should really represent. If you’d like to donate and help get Matabeleland to the World Football Cup in London this summer, you can, by purchasing some special merchandise or by sponsoring the team. Check out their Generosity page for more information.